"I'm enjoying myself and enjoying my football. I can't ask for any more." The words of Daniel Sturridge will come as music to Liverpool fans’ ears. After spending the second half of last season away from the club as the Reds narrowly missed out on Champions League glory, the striker is back. Back and in brilliant form, on and off the pitch. “I love it here. I love the lads and the banter in the group is unbelievable. I feel at home again,” he tells Liverpoolfc.com at the team hotel in Charlotte, the day after he impressed again in the International Champions Cup meeting with Borussia Dortmund. 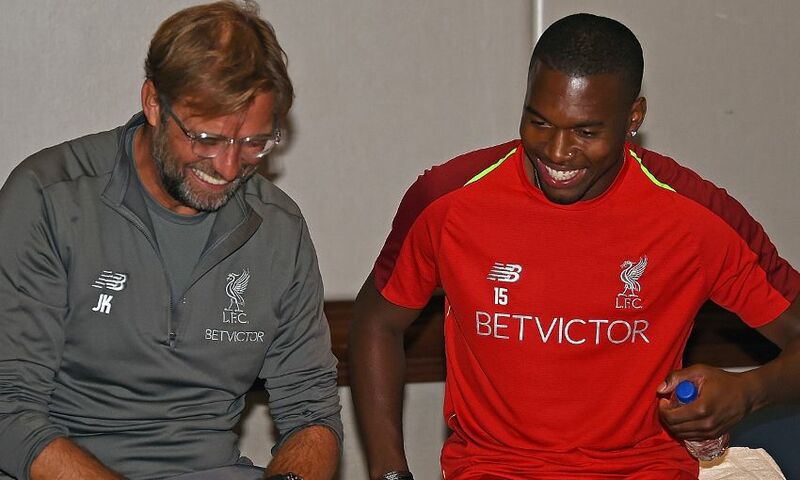 Sturridge speaks with a smile that seems to have grown increasingly since returning for pre-season training on July 2. Each appearance so far this summer has provided a glimpse of the No.15’s natural ability to influence a game. “The second half without Daniel would have looked completely different,” said Jürgen Klopp on Sunday. His role is evidently changing, too, with greater emphasis – self-imposed – on dropping deep to fashion as well as finish goalscoring chances. “I’m probably just doing more. It’s important for me to try to get involved,” he explains. “Playing on the shoulder is what I like to do but it’s also important to come and get involved and get in and around the opposition’s No.6. It’s adding more strings to my bow and giving the manager more options if he needs to play me deeper. It’s an evolution that has occurred naturally rather than on instruction. “It has just happened. I think I’ve always been capable of doing that but I’ve always been on the shoulder, so I haven’t done it as often as I am now,” adds Sturridge. 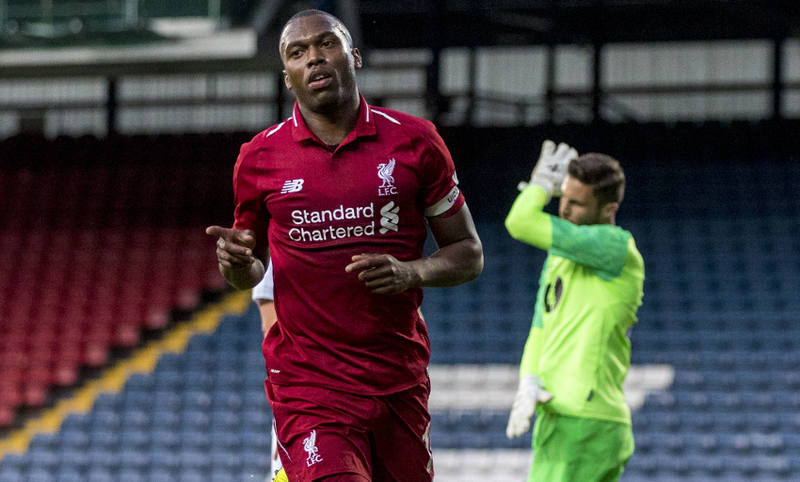 While Liverpool were reaching the heights of the Champions League final in the last months of the season, Sturridge’s loan switch to West Bromwich Albion did not work out as hoped. The 28-year-old played only six games for the Baggies as they suffered relegation from the Premier League. Understandably, the experience has sharpened the Englishman’s desire to come back and be part of Klopp’s project. And he returns with greater appreciation for its nuances. “It was important for me to get my head in the right place and evolve as a person. I had things that I needed to sort out with my family and things like that,” he says. “I’m just happy to be back and to push myself and be part of the group again. “When I went away I learned too. That’s also a good thing. When you’re not involved in the environment you learn a lot about yourself, the team, watching from afar and seeing how the team are playing. You can learn more when you’re outside the environment. Sturridge’s pre-season form, coupled with the late returns of the Reds’ World Cup participants, could present the striker with an opportunity. The Premier League campaign gets under way in three weeks’ time and claims can be staked for a place in Klopp’s starting XI against West Ham United at Anfield. But the man himself is not getting hung up on specifics. His is a long-term plan. “My ambition is to train hard and work hard in pre-season,” Sturridge concludes. “There are a lot of running sessions and a lot more pre-season games to go. And there’s no pressure. There are a lot of games during the season so it’s about giving your all when you get your minutes. “I’m not putting any pressure on myself or the management or my teammates. It’s about enjoying myself. I’m part of an unbelievable group, we have a chance to be successful this season. Everybody is pulling together and being part of that unity – being together as one and trying to make this team successful – is what it’s all about. “We want to win trophies and we want to be successful. It starts now and it’s a long season.